Better than anyone else, the author of Roland Barthes par Roland Barthes (1974) as well as of Le Degré zéro de l'Écriture (1953) pointed out the illusory nature of the work of biography. Here, we will therefore merely recall a few fragments of a life whose intellectual twists and turns accompanied and helped to transform all facets of French, if not European, thought in the second half of the twentieth century. His publications easily demonstrate his role as developer-in the photographic sense of the term-of the founding questions of so-called postmodern thought. They reveal even more the qualities of a refined and elliptical writer haunted by The Pleasure of the Text (1973). 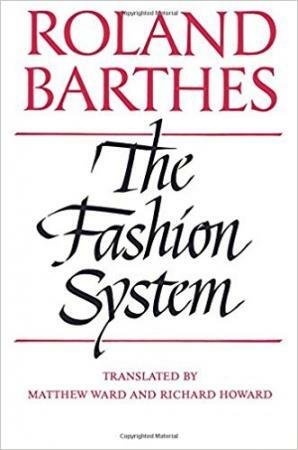 Well known for works, alternately journalistic and scholarly, on the political use of myths, literary creation, mass culture, photography, semiological methods, and romantic desire, Barthes also wrote many diverse works on fashion. Often referred to but very little read for themselves, these works still call for a radically novel approach to the phenomena of fashion. Following Jean-Baptiste Farges and Andy Stafford, one can try to distinguish three moments-but they are also three directions, closely connected but not successive- in the activities and the life of Barthes: the polemical journalist immediately after the war, the triumphant yet marginal university professor of the postwar boom, and the elusive "novelist" celebrated by the entire intelligentsia of the left in the 1970s. More than the details of these moments, it is important to note the intellectual influences that guided Barthes. He himself, in the "Phases" section of his pseudo-autobiography, Roland Barthes par Roland Barthes, played with establishing a correspondence of these stages (he counted two more) with an "intertext" of those who inspired him: Gide gave him the wish to write ("the desire for a work"); the trio Sartre-Marx-Brecht drove him to deconstruct our social mythologies (Mythologies was published in 1957); Saussure guided him in his work in semiology; the dialogue with Sollers, Kristeva, Derrida, and Lacan led him to take intertextuality as a subject; as for Nietzsche, his influence corresponded to the pleasure of writing during and about his last years, when he produced books dedicated to the enigma of pleasure: L'Empire des signes (1970), S/Z (1970), Sade, Fourier, Loyola (1971), and Fragments d'un discours amoureux (1977). La Chambre claire (1980), written shortly after the death of his mother, offers a restrained emotional reading of the illusions of the resurrection of reality through photography and concludes with an alternative: accept the spectacle of the false, or "confront untreatable reality." This represents a program of investigation, both political and aesthetic, that all the works and the very life of Barthes seem to have put into practice, even including the part of his work devoted to speaking about clothes and fashion, "stable ephemera." It has been little noticed how early Barthes developed a curiosity about clothing (at least the clothing of others), about its communicative functions, and about the problems of approach and reconstruction to which those functions give rise. His contribution was that of a student of sociology, considering a massive and poorly understood phenomenon that had been seldom studied in France. This contribution could be decoded on many levels, but it was also that of an aesthete, enamored with the feel of fabrics and the flaring of a white dress on the beach at Bayonne in the 1930s. This is the image-a blurry photograph of his mother-that opens (and closes on "a moment of pleasure") the introduction to Roland Barthes par Roland Barthes. Here, it is difficult to avoid noticing the trace of a nostalgic identification with the mother and a personal dandyism maintained with and by discreet and elegant companions. D. A. Miller (1992) may be right to regret that this genealogy, in part based on an unequivocal homosexuality ("L'adjectif," "La déesse H., " "Actif/Passif," and other vignettes in Roland Barthes), was never made explicit or "brought out." However, attention to the body, to its costumes, and to the functions and imagery of those costumes, obsesses- literally-all aspects of the work of Barthes, and this is true beginning with his earliest theater criticism ("Les maladies du costume de théâtre" of 1955, reprinted in Essais critiques ), and his various analyses of Brecht's staging of Mother Courage from 1957 to 1960. As late as 1980, some fashion details of the photographs illustrating his last book, La Chambre claire, become the focus of his reflective emotion and serve as a punctum. In parallel, as early as 1957, he published in Annales the seminal article "Histoire et sociologie du vêtement," followed in 1960 by "Pour une sociologie du vêtement," and in 1959, Critique, under the title "Langage et vêtement," he published his review of books by J. C. Flügel, F. Kiener, H. H. Hansen, and N. Truman, writers then unknown to French specialists in the field. Other articles, such as "Le bleu est à la mode cette année" (Revue française de sociologie, 1960), "Des joyaux aux bijoux" (Jardin des Arts, 1961), and "Le dandysme et la mode" (United States Lines Paris Review, July 1962) exhibit the development of a semiological approach to clothing and the concern for a multifaceted way of writing able to adapt with virtuosity to diverse audiences. For example, he published in the women's magazine Marie-Claire (1967) "Le match Chanel-Courrèges," an article similar to one of the last of the Mythologies. Finally, although after that date, the language connected to fashion was no longer directly questioned, the last lines of Roland Barthes are still concerned with the weight of appearances: "Writing the body. Neither the skin, nor the muscles, nor the bones, nor the nerves, but the rest, a clumsy, stringy, fluffy, frayed thing, the cloak of a clown." Le Système de la mode (1967) is an austere and baroque book that came out of a planned thesis, in which a linguistic theory ("the dress code") develops, flourishes, and self-destructs. The book's luxurious jargon and absence of iconography has repelled many and led to various misunderstandings. Its author-famous and praised for other more "literary" publications-plays the role of the proponent of a hard and fast scientism, which he nevertheless declares in the preface is already outdated. He counters and even contradicts this by embellishing the text with precious formulations ("Le bleu est à la mode"), and with a second part (one fourth of the book) unexpected in a work with a methodological purpose: an essay on the rhetoric of fashion journalists along with caustic sociological commentary. "Fashion makes something out of nothing," and that "something" is first of all words, as Stéphane Mallarmé had shown. Hence, it is only the vocabulary and syntax of the captions for fashion pictures presented in the magazines of the 1960s that form the basis for the analyses-legitimately linguistic- offered by Le Système. 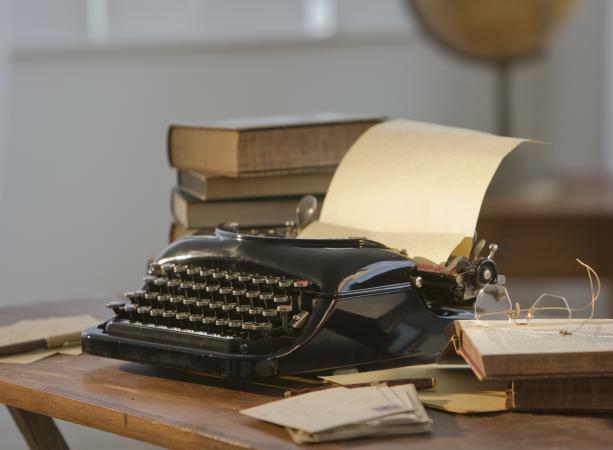 One should never forget that this was a practical exercise: the ingenious and inventive application of a new technique of reading (semiology) to a limited object but one requiring the creation of novel concepts. Those limits, explicitly set out by Barthes in his book and in contemporaneous interviews, were not understood by many readers who criticize the book for not speaking directly of the non-verbal communication carried out through clothing. Barthes is interested neither in clothing as artifact (clothing as made) nor in its figurative representations (iconic clothing), although those diverse subjects were part of the research program-too broad but more cautious on questions of linguistic analogy-proposed by the 1957 article. His aim is thus to find out "what happens when a real or imaginary object is converted into language" and thus becomes literature capable of being appropriated. This lack of understanding-often unrecognized- and various ambiguities of expression making a faithful translation difficult, explain in part the delay of the book's publication in English (1985), and a limited reception (in quantity and quality), which needs, however, to be analyzed country by country and generation by generation. The book nevertheless remains an essential reference, at least in France, for sociologists and historians of clothing, but even, or perhaps especially, there, Le Système has not acquired a following, except among a few French ethnologists, like Yves Delaporte, Jeanne Martinet, and Marie-Thérèse Duflos-Priot, who do not restrict themselves to studying "spoken," that is, written clothing. It is a fashionable reference in a bibliography, but it has not really been assimilated, even though it has inspired several descriptive systems of clothing used by museums and it has provided a number of convenient metaphors for experts in fashion. As Barthes wished, the book has to be read first of all as a historical monument, a dated polemic, focused on methodological questions. But it is also a book in which one may take pleasure in digressing, while acquiring expertise and understanding about the state of fashion rhetoric in the 1960s, the state of innovative practices linked to structuralism, and also the state of French backwardness in research on clothing and the still novel efforts to introduce into the field the indispensable theory required for any study of a cultural phenomenon. The phraseology of the fashion magazine signifies a "fashionable" representation of reality, the ideology of which is unveiled by breaking it down into subsets and elements and by the concomitant variations (combined or opposed) of signifier and signified: "A cardigan is sporty or formal depending on whether the collar is open or closed." Barthes was a pioneer by rejecting the elitist linearity and the facile psychologism of "histories of costume," by engaging in contemporary, not nostalgic, analysis of consumerist ideologies, and by carrying out high-risk interdisciplinary work taking into account individual choices and collective tendencies, the longue durée and differential rhythms of transformation of forms and customs, as well as the ephemeral character of the analyses of those who produced them: all knowledge is by definition "Heraclitean." Even more, Le Système de la mode should be seen as an invitation to dissect (or possibly de-construct) the discourse on other discourses that we fabricate with respect to all our objects of investigation. It should be done without illusions, but always with seriousness and irony. See also Historical Studies of Fashion; Theories of Fashion. Roland Barthes. Œuvres complètes. 3 vols. Paris: Seuil, 1993-1995. --. The Fashion System. New York: Hill & Wang, 1983. Boultwood, Anne, and Robert Jerrard. "Ambivalence, and Its Relation to Fashion and the Body." Fashion Theory 4, no. 3 (2000): 301-322. Delaporte, Y. "Le signe vestimentaire." L'Homme 20, no. 3 (1980): 109-142. Delaporte, Y., ed. "Vêtement et Sociétés 2." L'Ethnographie 130, nos. 92, 93, 94 (1984). Special issue. Fages, Jean Baptiste. Comprendre Roland Barthes. Toulouse, France: Privat, 1979. Harvey, John. Men in Black. Chicago: University of Chicago Press, 1995. Hollander, Anne. Seeing Through Clothes. Berkeley: University of California Press, 1993. Martinet, J. "Du sémiologique au sein des fonctions vestimentaires," L'Ethnographie 130, nos. 92, 93, 94 (1984): pp. 141-251. Miller, D. A. Bringing Out Roland Barthes. Berkeley: University of California Press, 1992. Stafford, Andy. 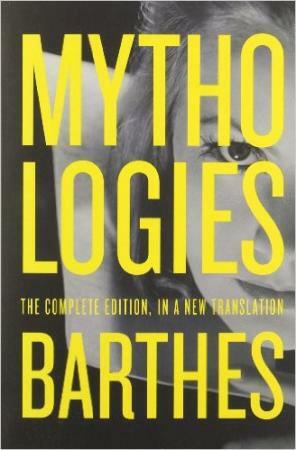 Roland Barthes, Phenomenon and Myth: An Intellectual Biography. Edinburgh: Edinburgh University Press, 1998. Wilson, Elizabeth. Adorned in Dreams: Fashion and Modernity. London: Virago, 1985. Rutgers University Press issued a revised edition in 2003.